Can't believe it's already October, where did all that time go? :( I always get mixed feelings towards the end of every year. On one hand, I'm sad that time passes so fast. On the other hand, I'm happy because year end is always the time we take our longer trip and it's something I look forward to every year. But we have to get through the upcoming year end examinations first, have to get my boys started on their revisions. 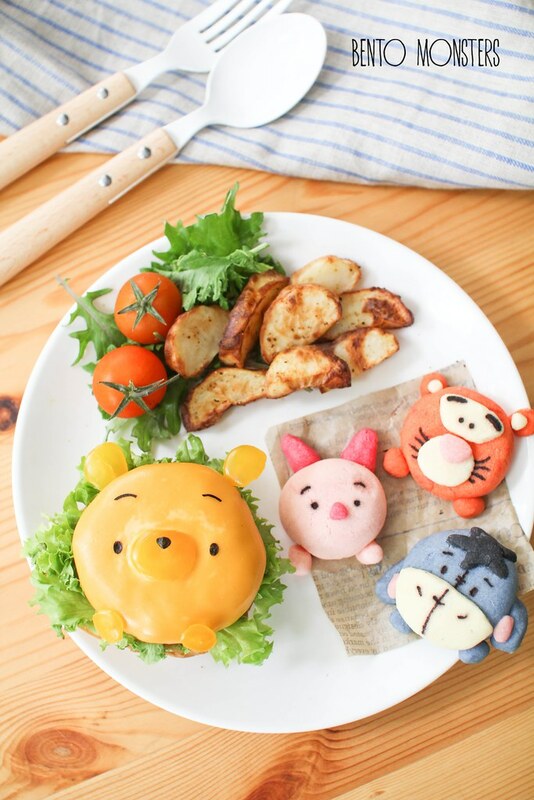 Finally posting about the step-by-step for this very easy to make Tsum Tsum Pooh burger. 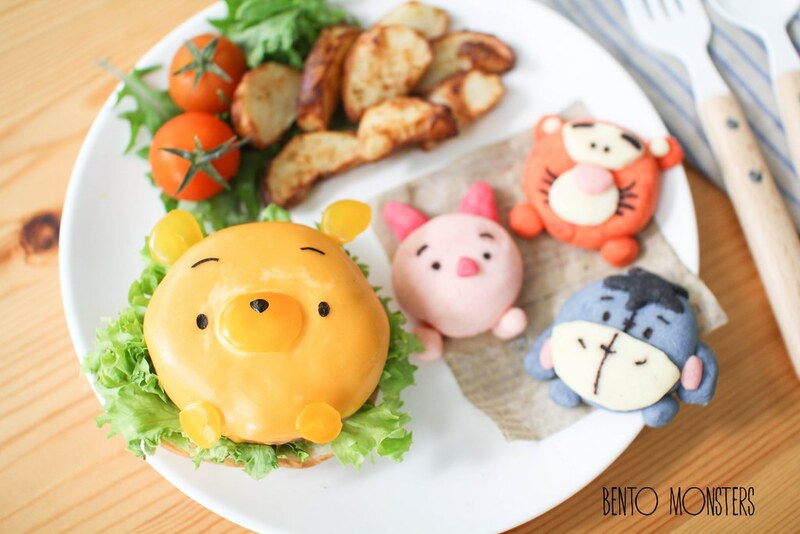 Pooh is made from a slice of cheese over a hamburger patty. This is the same method I use to make my Minion, Garfield, clown and Pikachu earlier. You can use any of your usual patties recipe for this. 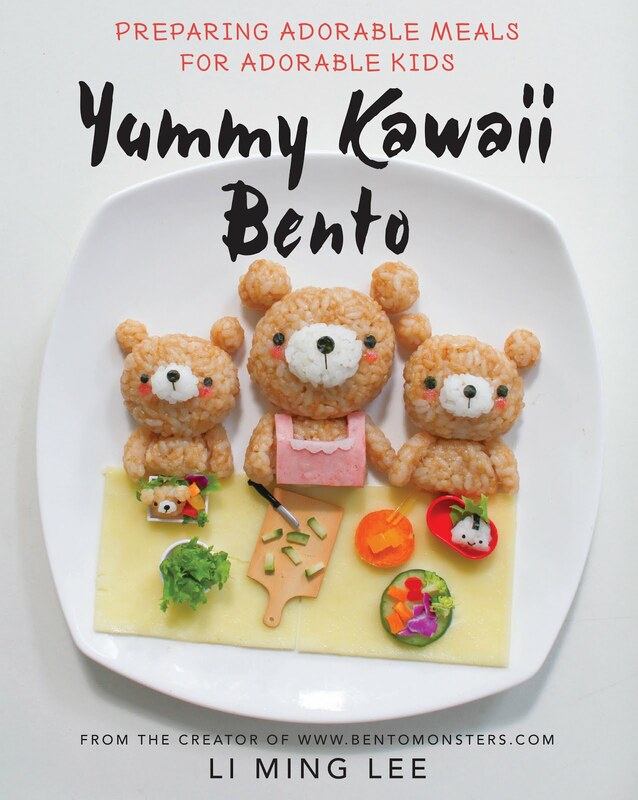 If you have a copy of my bento book, you can try out either the tofu chicken patties recipe on page 210, or the Japanese hamburg steak on page 217, or the meatball pasta recipe (shape the meatballs into patties instead) on page 234. And the Spring Sunflower Bee on page 149 of my book is also done using this way. Tigger, Piglet and Eeyore at the side are german cookies, I've shared the recipe earlier over here. 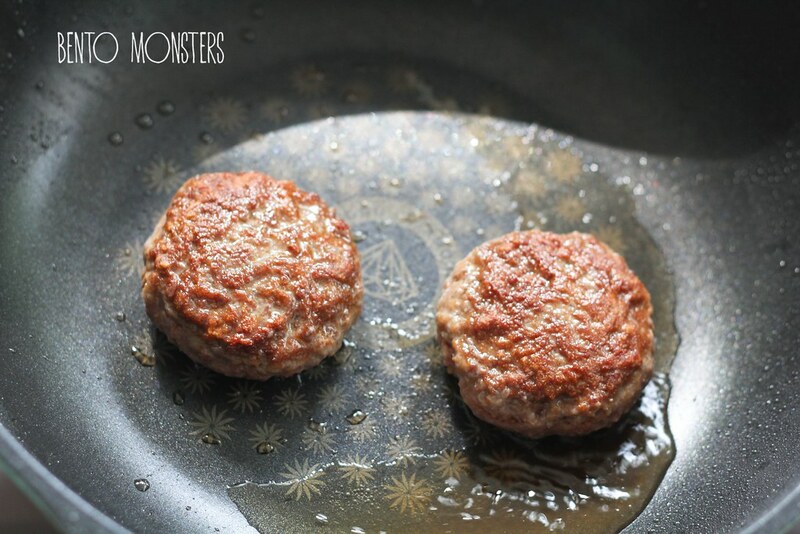 Shape your meat patties and fry them. 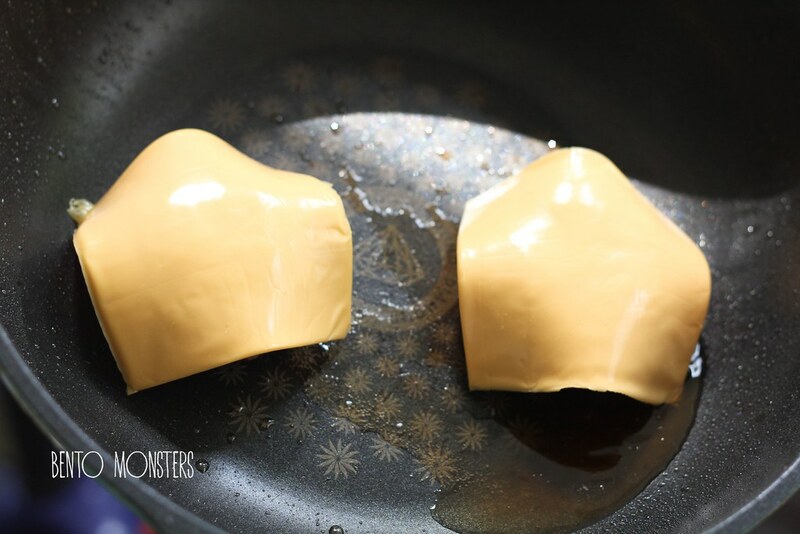 When both sides of the patties are browned, and it's cooked, place cheese onto the patty while it’s still in the pan so that the cheese will melt and mold onto the meat patty. 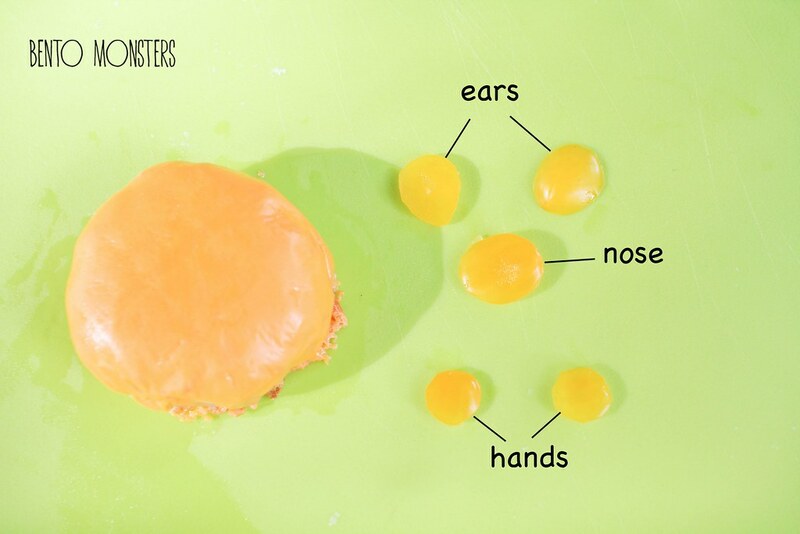 Using yellow bell peppers or cheese, cut out the parts shown above. 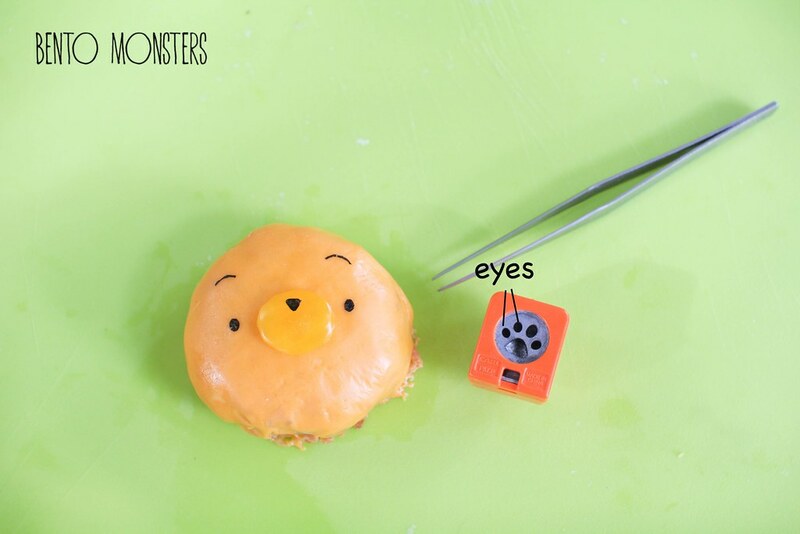 Use a craft paw punch to cut out ovals for the eyes from nori. Use a pair of scissors to cut out the rest of the details. Attach and secure on the parts using pasta sticks. Serve it with burger buns, lettuce, tomatoes, etc. 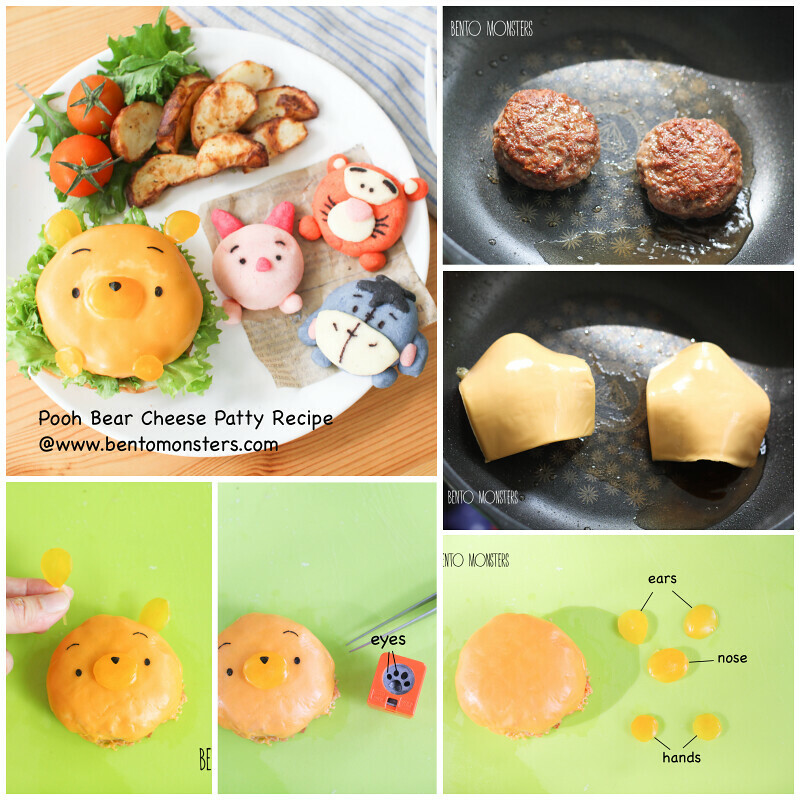 I adore the Pooh bear cheese patties, so cute! I need to pin this and give it a try, very sure that Nikolai will love it! This is so cute! Love the pretty colors! That is fab! 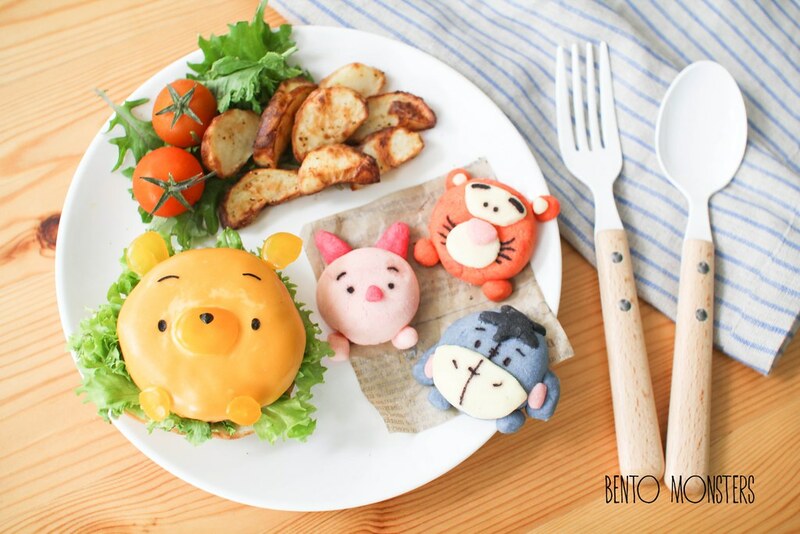 I want someone to do my dinner like this! You're so clever! I love Pooh. It's so cute! 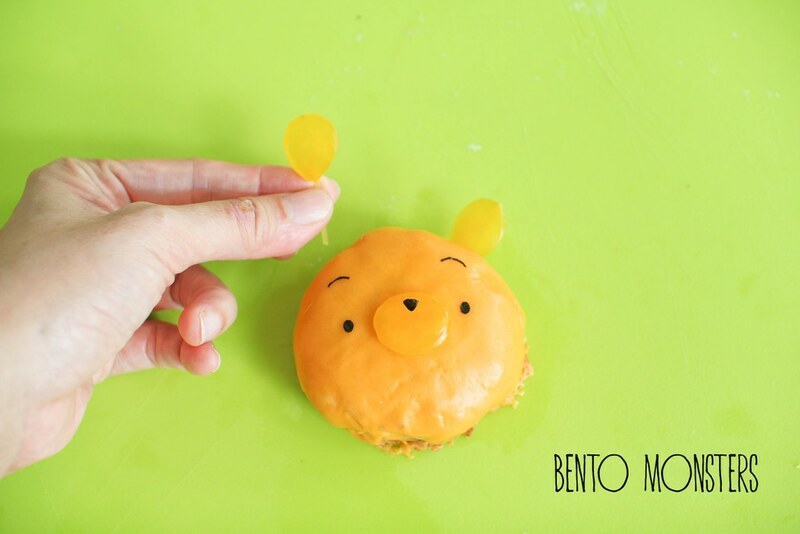 What a clever way to make pooh bear. Your food creations are so inspiring!